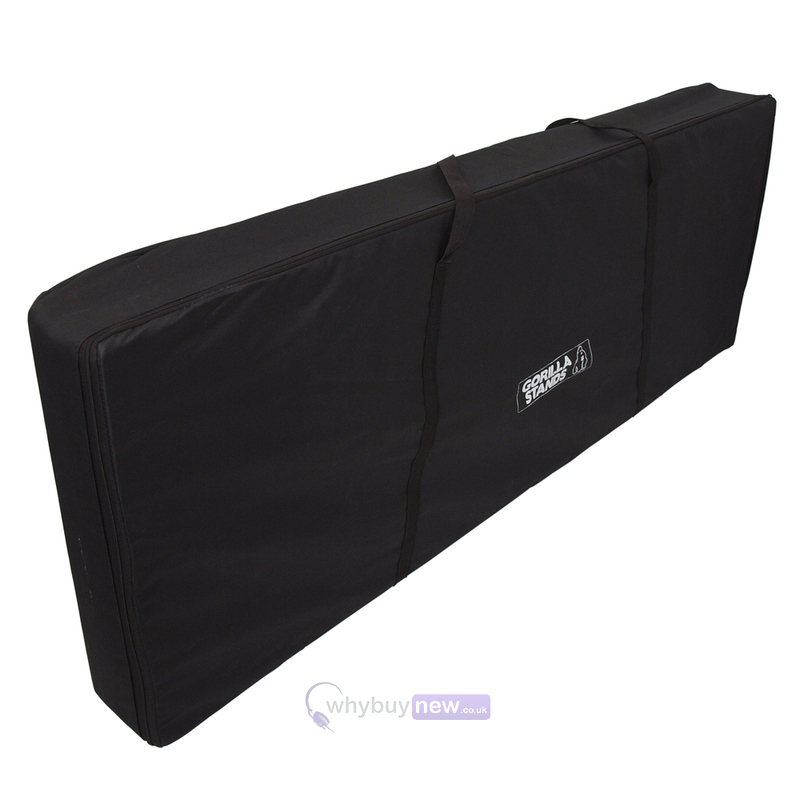 This great value Gorilla high quality zipped fabric disco stand carry bag is designed to fit most brands of 4ft disco stands to make transporting your rig easier. Please check the dimensions of your stand to make sure it will fit in this bag. Great value bag this takes all the components including the shelf. Looks more professional when you arrive at the venue with all the parts in one bag. Purchased this over a year ago, and it's still strong with no rips. Definitely one of the better bags I've owned. Comfortably fits the 4ft Deck, Shelves and brackets for the overhead bar. Great product, perfect fit, would have preferred thicker carry handles and a large shoulder strap. But definitely worth the price. 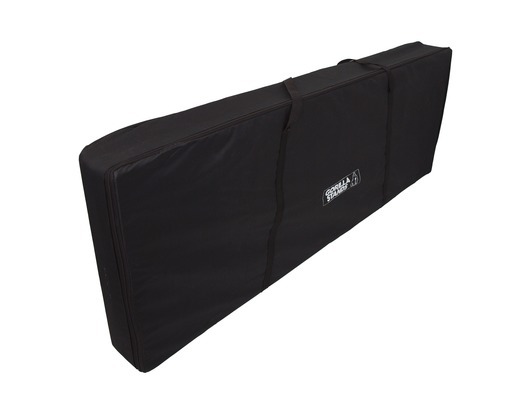 If you have the 4ft stand, I strongly recommend that you get the carry bag. It keeps everything together and makes it easier during transportation.